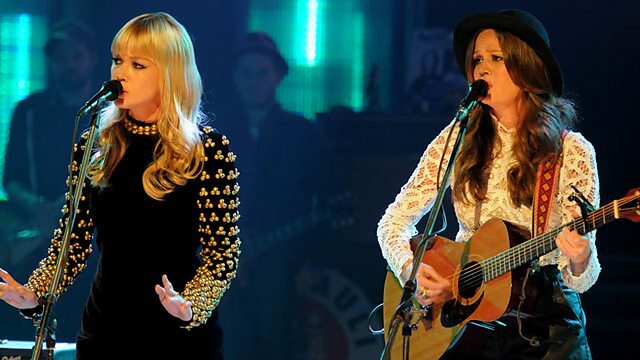 Joining Jools are Duffy, Heaven 17 and the Gaslight Anthem, who perform tracks from their second album American Slang. Also Peter Asher drops in for a chat. Joining Jools is Duffy, as the Welsh songstress returning with her second album Endlessly, the follow-up to her multi-million selling debut album in a career launched on the programme three years ago. Sheffield's finest, Heaven 17, are back in the saddle again for their 30th anniversary UK tour to celebrate their groundbreaking album, Penthouse and Pavement, with its synthpop-funk take on the first years of Thatcherism, featuring hits such as "(We Don't Need) This Fascist Groove Thang". New Jersey rock 'n' rollers the Gaslight Anthem present songs from their second album, American Slang, updating the blue-collar rock that makes Bruce Springsteen a firm fan. There's chat with Peter Asher, former pop star, A&R supremo and producer, about the early days of Apple.